Source familiar with issue of fake MyKads says syndicates use data from Sabah Mykads. 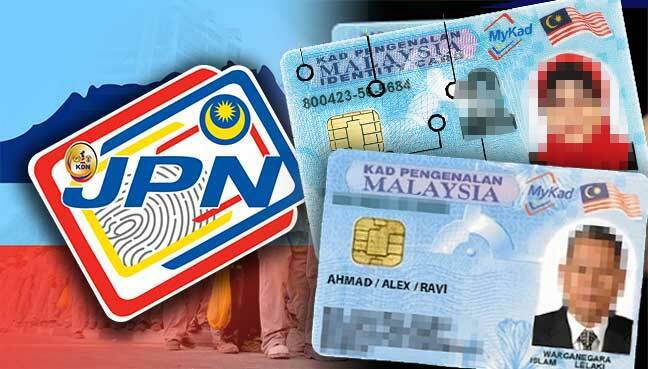 PETALING JAYA: Most fake MyKads produced by syndicates for foreigners used data from MyKads issued in Sabah. This is the shocking revelation made by a source in the Immigration Department when asked to comment on a recent joint operation with the National Registration Department (NRD) on fake MyKads in Pahang. The source said that the data in fake MyKads almost always came from Sabah as it was an entry point for foreigners into the country. “These syndicates have been around for ages and they are very advanced in their methods,” said the source, adding that this was to avoid detection by the authorities. The source said that the NRD would have more details about the fake MyKads as it was the agency in charge of issuing these. Meanwhile when contacted, Immigration Department deputy director-general Sakib Kusmi declined to comment on the sources’ claims, saying only that the data in the MyKads came from various sources. “The syndicates can get the tools they need to make the fake MyKads easily in the market and online. “As for the data, they can get these from leaked data from credit card companies and stolen or lost MyKads,” he said. On Thursday, the New Straits Times reported on the joint operation in Balok, Pahang in which the authorities discovered fake MyKads were being sold for as low as RM200. Illegal immigrants detained with the fake MyKads claimed to have bought them from a few syndicates operating in Kuala Lumpur, Perak and Sabah. One of those detained came from Mindanao, in southern Philippines and bought his fake MyKad from Perak containing the MyKad data of a man from Tuaran, Sabah. Some 70 illegal immigrants from southern Philippines were detained in the operation. When contacted, an NRD spokesperson said they would need time to verify the claims made by the source and would respond to FMT’s queries soon.